After sending Scala to Berlin, twirling his Hélice in London and colonising Bapteme in Cologne, Agoria declares ‘Independence’ in Barcelona. A track that’s been a highlight of the summer for Maceo Plex and Agoria, ‘Independence’’s date has finally being fixed. 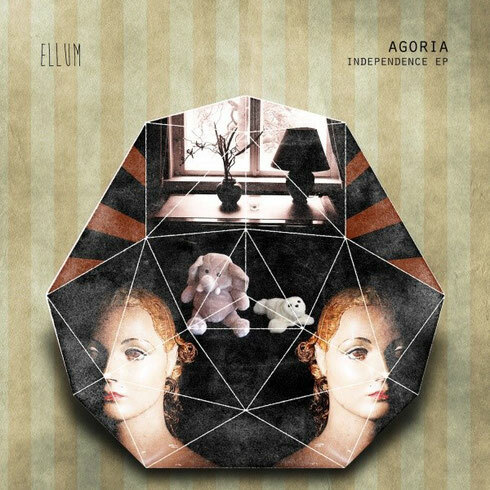 Agoria’s debut release on Ellum is an equally sinister and experimental affair. Apocalyptic drum crescendos are broken up by warm synths tones and washed against baritone basslines on the title track. Architectural’s rework elevates it to an eerie, cavernous space. ‘Gravity’ featuring Nicolas Becker, features spoken word layered over a driving, hypnotic groove and Stephen Barnem’s remix builds an intensity in simple, pulsating frequencies. An alternative vinyl version of ‘Independence, only available on the 12”, features the Russian pianist Mikhail Rudy. Agoria: “Since I moved to Paris last year, I have had the chance to meet amazing artists including the Russian pianist Mikhail Rudy and the sound designer of the movie ‘Gravity’, Nicolas Becker. The three of us are animated by curiosity and the will of playing with our specific boundaries. I guess this is just the first step symbolising our state of mind: Independence. When I met Eric [Maceo Plex] in Ibiza last year, we instantly connected, we both can play all kinds of music so I thought Ellum was the place to release it." Sébastien Devaud AKA Agoria was living in rural France when he first got hooked to electronic music. He started producing and releasing his own tracks in 1999 and gained international recognition with a series of 12”s on Pias recordings in 2002. Agoria has released four long-players and countless singles. Resident Advisor named his At The Controls compilation series one of the best mix CDs of the past decade. He also founded Nuits Sonores, one of the best European festivals, and is currently experimenting with cinéma with film director Jan Kounen & with contemporary art. It’s out 30 October, check it out below.